Rocketed to fame in 2016 taking over the role of Joel Dexter in the long-running soap opera Hollyoaks. He studied acting at Napier University. He then began his professional career in stage roles at the King's Head Theatre. He is known on social media for his Twitter account, RorySpeed, and his Instagram account, speeedstagram. He originally hails from Scotland. He has been in a relationship with Hollyoaks co-star Nadine Mulkerrin, whom he proposed to in December 2018. 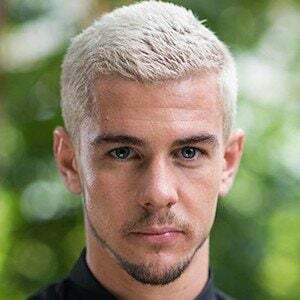 He joined Jamie Lomas in the cast of Hollyoaks in 2016.